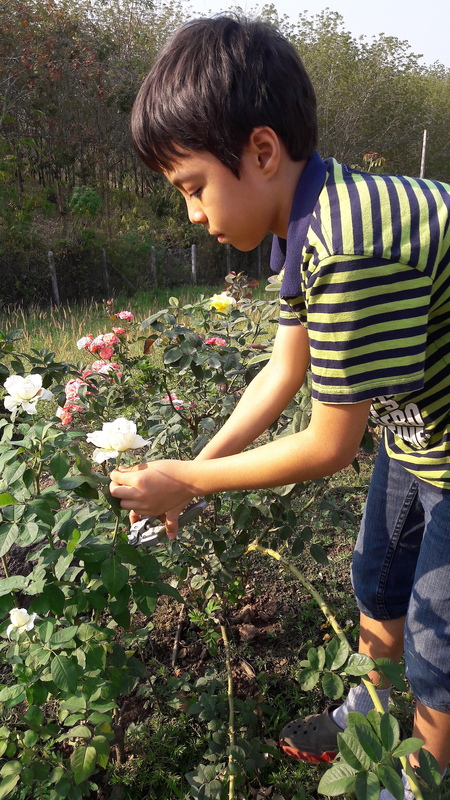 In this Blue Rose Experiment, I was trying to confirm what other researchers found: that food dye added to water in a vase will cause the rose to change color. 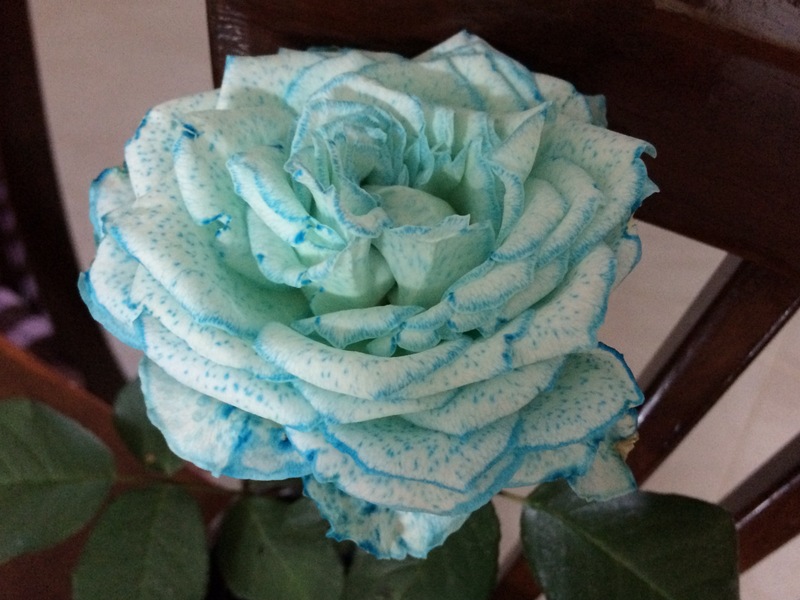 My hypothesis was that adding blue food coloring to water into the vase would cause a white rose to turn blue. 1. Add 250ml of water into the first cup, then add 250ml of water into the second cup and then add 1ml of blue food coloring. 2. 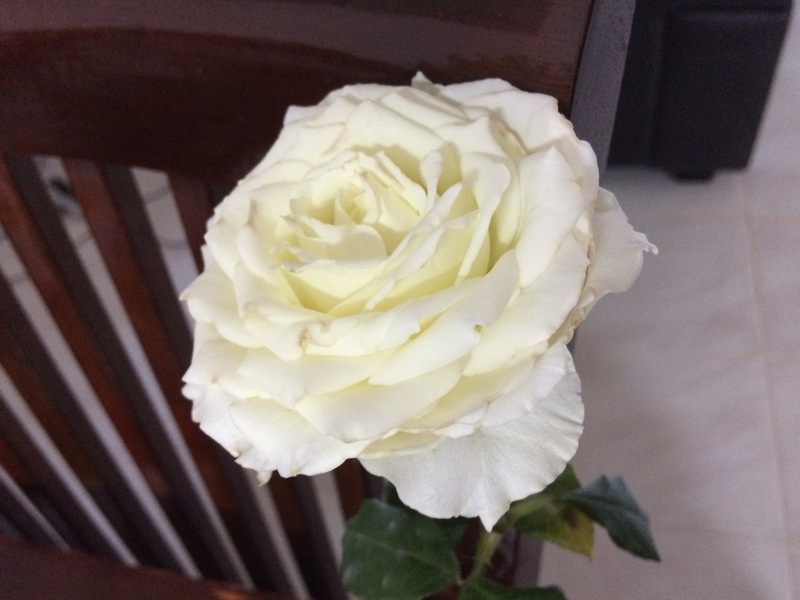 Add a pinch of pure refined sugar about .125cc into the two cups and place the stem of the roses into the cup. 3. Wait for 2 or 3 days and record what happened. If the rose in the first cup turns blue that means the sugar makes the rose blue. The control is not blue and that means the sugar didn’t make the rose blue. The rose in the blue dye vase turned blue on the second day. 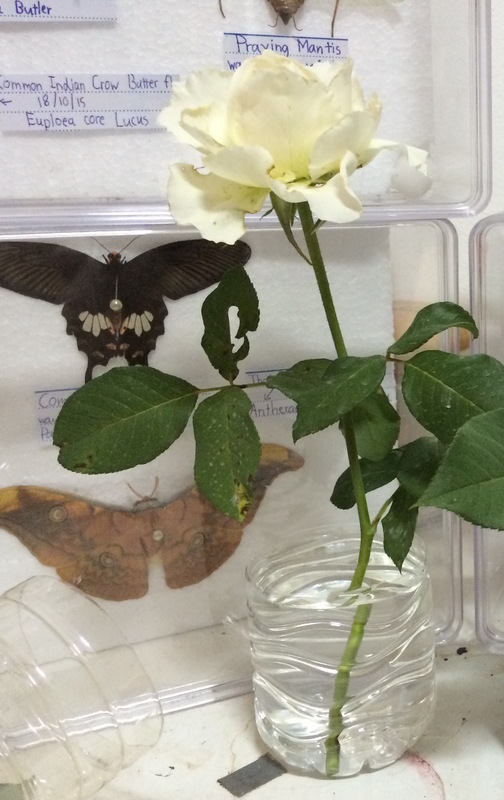 Conclusion: Blue dye caused the white rose to become blue because the dye was absorbed through the stem.